If you are shopping for Tow Truck Insurance in Austin Texas and the surrounding areas Pathway Insurance is the company you definitely want to know about when you need Tow Truck Insurance in Texas. You can reach the licensed agents of Pathway by calling 1-800-998-0662 during the week until 5 PM Central Standard Time or use our Chat System. Licensed agents are available to provide quotes, bind new Tow Truck Insurance Policies, and if you are already a customer to help you out with your policy seven days per week. 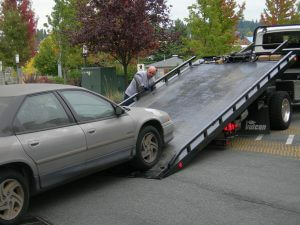 Tow Truck Insurance Austin Texas— If You Can’t Get Insurance Your Business Will Close Down! Unfortunately you cannot operate your business without the appropriate commercial insurance according to Texas State Law. So it would be illegal for you to run tow trucks without having the appropriate Texas Tow Truck Insurance Policy. We have spoken with a number of individuals who have found that they may not qualify for the commercial insurance or it will be much more expensive than they anticipated. As was mentioned in a previous post our objective is to use claim scenarios in situations to help others learn about mistakes they should avoid. We will now consider part four of the misadventures of Miles Goldberg, try to learn how you can avoid the same mistake he made. Tow Truck Insurance Austin Texas — Policy is Cancelled! Fast forwarding 2 weeks after the sales closing date Miles receives a cancellation notice of his business insurance. “Jim knew the policy was getting cancelled 10 months ago?” Miles asked incredulously? “Yep, before then actually, I warned Jim about all those claims being turned in, and he didn’t listen to me. Besides he said he was selling the business, did Jim change his mind, he keeping the business? “Oh, ok, well we would need to write up a new policy because of the change in ownership, want me to get some numbers for you?” Willie asked. “Well I need to check with the company to see if they will take you, Jim had a bunch of claims, although you now own Jim’s Towing & Repair some companies are funny, they may not take you because if you have the same drivers and vehicles, well nothing has really changed.” The agent mentioned. “Can you check for us?” Miles asked. “Sure let me get back to you to see what I can find out.” Willie stated. We will learn what Willie from Wile E Coyote Insurance Brokers found out after he contacted the underwriting department, don’t miss this issue! Tow Truck Insurance Austin Texas – Low Rates Are One Call or Click Away! If you are looking for low rates on Austin Texas Tow Truck Insurance and the surrounding areas Pathway Insurance is the company you need to know about! As a leading independent agency we offer great rates and low down payments on Tow Truck Insurance in Texas, Minnesota, Florida, Georgia, Tennessee, Kentucky, Ohio, Indiana, Michigan, and Maryland. Call us Monday through Friday at 1-800-998-0662 Central Standard Time or use our Chat System. Licensed agents are available seven days per week to help you out with quotes, bind new Tow Truck Insurance Policies, and if you are already a customer to help you out with your policy.